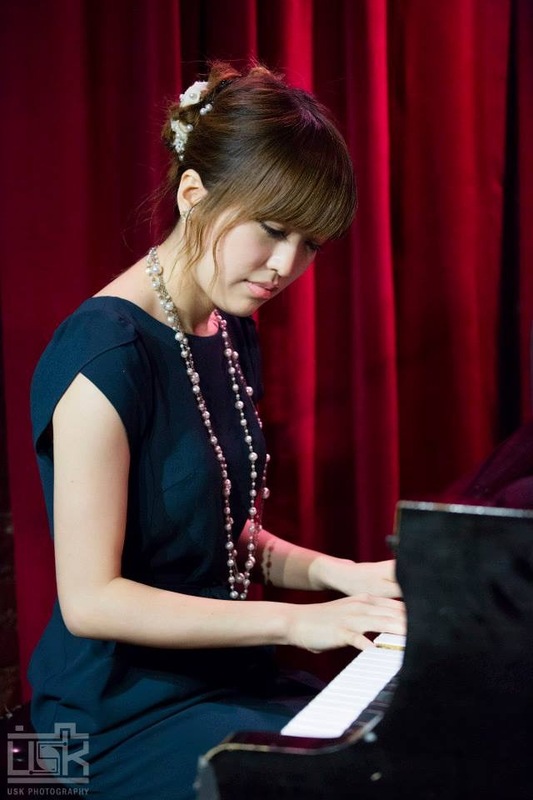 Born November 12 1987, Haruka Yabuno found her passion in the black and white keys at a very early age with her first improvisation at the age of three. Her foundations in classical piano continued to strengthen as she accumulated numerous distinctions in national level competitions that eventually lead her to be accepted into the prestigious Kunitachi College of Music in Tokyo, Japan. It is during her time at Kunitachi College of Music that she was exposed to the music of Jazz and studied with legendary pianists such as Makoto Ozone, Yosuke Yamashita and Masahiro Sayama. During her formative years in jazz, she has performed at the master class by Hank Jones and was awarded the highest honors by the Jazz department in Kunitachi College of Music The Yosuke Yamashita Award. In 2010, by recommendation of her mentor Makoto Ozone, she received a scholarship from the Berklee College of Music in Boston, USA. While majoring in Jazz Composition, she continues to study with great pianists such as Ray Santisi, Alain Mallet and Neil Olmstead. She studied Jazz composition with great composers / arrangers such as Greg Hopkins, Phil Wilson, and Scott Free. Although her fundamentals are deeply rooted in classical music and her passion is in jazz music, Yabuno shows that she is equally adept in all genres of music, performing with Rock n Roll hall of fame inductee, Ernie Isley in 2011, and performing at Boston Symphony hall with Video Game Orchestra (VGO) October 2012. Yabuno moved her base to New York City in 2013, and performing at prestigious venues such as Jazz at the Kitano, Shapeshifter Lab, Caffe Vivaldi, Somethin’ Jazz Club, Tomi Jazz, and so on. Since Yabuno moved to New York, she formed a new collaboration project “The Yabuno Ettun Project” with the Israeli bassist Ehud Ettun. Their first album will be released on July 2014.